The contiguous United States (US) contains 48 states, and thus excludes Alaska and Hawaii. This article looks at how many states are along the East Coast and how many states are along the West Coast. How Many States are Along the East Coast? The east coast of the US abuts the Atlantic Ocean. There are fifteen states which have coastal access to the Atlantic Ocean. 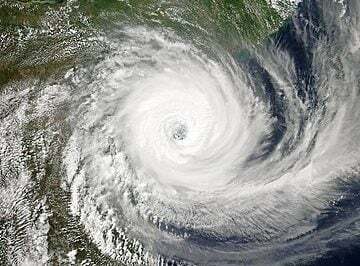 These states are: Maine, New Hampshire, Massachusetts, Rhode Island, Connecticut, New York, New Jersey, Pennsylvania, Delaware, Maryland, Virginia, North Carolina, South Carolina, Georgia, and Florida. While not actually along the Atlantic Coast Pennsylvannia’s coastline access is provided by 57 miles (92 km) of shoreline along the Delaware River estuary. Connecticut, located on the Long Island Sound, also has no actual coastline. While Vermont is located in the eastern part of the United States, it does not have coastal access to the Atlantic. The capital of the United States, Washington D.C. is part of the region known as the East Coast but is landlocked and is sandwiched between Maryland and Virginia. East Coast States with coastal access to the Atlantic Ocean. Map created using QGIS with Natural Earth GIS data. How Many States are Along the West Coast? There are three states in the contiguous United States that have coastline access to the Pacific Ocean: California, Oregon, and Washington. 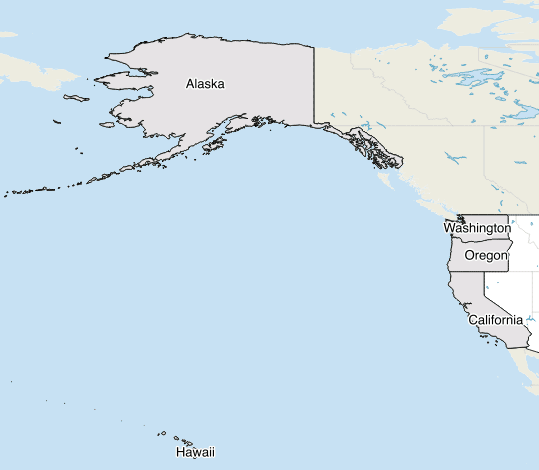 The state of Alaska and the island state of Hawaii make up the other two states that are past of the region called the West Coast of the United States. Map showing West Coast States with access to the Pacific Ocean. Map created using QGIS with Natural Earth GIS data.